NEW DELHI: Presented by the interim finance minister Piyush Goyal in Parliament today, the interim Union Budget 2019-20 has much to offer to the real sector. From lending a stronger back to the middle-class section of the country to providing some relief to the real estate developer the interim budget came with plenty of perks to offer to everyone. In term of real estate we believe that benefits under Sec 80(i)BA being extended for one more year, for all housing projects approved till end of 2019-2020, and benefit of rollover of capital tax gains to be increased from investment in one residential house to that in two residential houses, for a taxpayer having capital gains up to Rs 2 crore; which can be exercised once in a lifetime are the biggest take away from this year’s budget, in addition for existing home buyers income tax relief on Notional Rent from unsold houses which has now been extended to 2 years, along with increase in TDS threshold on rental income raised from Rs 1,80,000 to Rs 2,40,000. In general we would like to congratulate the Finance Minister for a wholesome balanced budget, we believe that the move to increase income tax slab to Rs 5,00,000 is a very positive move. This is a helpful step towards increasing disposable income for a first time buyer planning to purchase a real estate asset. We also look forward to the outcome of Group of Ministers examining how prospective house buyers can benefit under GST, which we believe should not only benefit them on paper but practically as well. The government’s decision to increase the tax slab to 5 lakhs is a constructive step for the real estate sector thus giving power in the hands of buyer. The positive move will be helpful in increasing disposable income for a buyer planning to purchase a real estate asset”. “Union Budget 2019 highlights the far-reaching magnitude of the real estate and infrastructure sectors on India’s overall economic performance. Building the physical and social infrastructure for a 10 trillion dollar economy requires a concerted effort from all parties. The announcement with the largest impact on the real sector is the revised income tax slabs that reduce overall tax expenditure. This will enhance the ability of the salaried class to service their loans and therefore invest in real estate and widen the market opportunity for players in the sector. There are also other direct and indirect benefits for the housing sector and in particular the property developers. The notional tax that was payable if a property was unsold for a year has now been extended to two years taking into account the fact that there is an increase in the stock on unsold properties. In addition to that, the deduction under section 54 with regards to capital gains has been amended to give the exemption for two houses as opposed to one house. A notional tax that was levied on the second self-occupied property has been removed and is also a big positive for a middle income person. While the above announcements in the interim budget coupled with the recent policy reforms are expected to create more stability over the long term, there are aspects which need to be addressed for a strong market revival. Chief amongst these is the reduction of GST on under-construction properties. It was announced that the GST Council will address this in the near future. This decision must be made at the earliest. The lingering possibility of a GST reduction only delays buying decisions and further stalls growth. A clear outcome will boost home buyer confidence and revitalise the sector. On many fronts this is a favourable and bold budget for the real estate industry. Though many of the expectations, whether it is bringing in a structured single-window clearance or granting infrastructure status to the industry didn’t materialize, however the government’s stance towards reducing the GST burden on homebuyers is seen as a welcome move. In its ambitious quest to become a 5 trillion economy in the next five years, the interim budget, viewed as ‘Vision 2030’, has struck the right chord on several fronts, whether it is building next-gen infrastructure or building stronger digital India. The step of making more homes available under affordable housing is in-line with government’s vision of ‘housing for all’. The proposed step to exempt levy of income tax on notional rent on a second self-occupied house is well addressed. Manish Agarwal, Partner & Leader – Infrastructure, PwC India. “Infrastructure continues to be the critical backbone which will help deliver on various social and economic objectives. The growing emphasis on Ease of Living will require wide ranging urban infrastructure to address issues like housing and transport, as also air quality and accessibility. Rural industrialization is key to linking farm sector with industry, and will need logistics infra to be significantly upgraded. The budget will not be able to continue to fund all of these, too far in the future. Going forward, it will be important to take measures to improve the country’s credit rating, and attract more long term foreign capital into infrastructure. While the industry laid down a lot of expectations from the interim budget, for instance, aspects such as according Infrastructure status to the industry, and structured single-window clearance among others, which weren’t met, the budget in its entirety took into account a host of other issues aimed to propel the economy into a 10 trillion dollar economy, which is a positive sign. “The thrust on social infrastructure, ease of living, and technology led governance for inclusive, equitable growth is a welcome move. India would continue to need more structural, policy and economic reforms to become a $5 trillion economy in the next five years. There is a considerable ground to be covered and this Budget has set the tone for future discourse. This year’s budget has been announced on an optimistic note, giving a boost to the middle-class sector and the farming population of the nation. With the Finance Minister announcing tax exemption for income up to Rs. 5 lakhs and an increase in standard deduction from Rs. 50,000 to Rs. 40,000, there is a definite reason for middle-class taxpayers to rejoice. India, one of the fastest growing economies today, has laid the foundation for sustainable growth in the real estate sector. During 2014-18, under PM Awas Yojana, over 1.53 lakh houses have been constructed. With the establishment of RERA, 2016 realty law, the real estate landscape witnessed industry-wide transparency, fortifying investor sentiment while boosting realty sales. The decision to action income tax relief on notional rent on second homes will encourage consumer consumption, while the increase in deduction scheme threshold for rent from Rs 1.8 lakh to 2.4 lakh will encourage investments. Notional tax exemption, extended to two years, will also help developers clear off unsold inventory. Further, the government’s proposal of rolling over capital gains to two properties instead of one will generate investment opportunities in the real estate segment. The government has set the stage for growth and development with path-breaking, comprehensive structural reforms such as GST (Goods & Services Tax). With the implementation of GST, the biggest taxation reform since Independence, a bevy of taxes have been brought under a single regime, says the Finance Minister, Piyush Goyal. The GST council has also announced that they will be taking steps to reduce tax for homebuyers. The council will suggest ways and devise a proposal to bring down the tax burden on house buyers, ensuring a positive shift in the real estate landscape. We, developers, yearn that GST rates for properties under construction be lowered or exempted, as it will not only benefit consumers and developers but also assist the overall sector to thrive. Together, these direct and indirect incentives will bring about positive changes in the real estate landscape in 2019. “This interim Union Budget has bought cheer to taxpayers and we welcome this move. An observed pattern in India is, increased savings bring people closer to their aspiration of becoming home owners. This of course augurs positively for the Affordable Housing segment and will go a long way in addressing the housing issues of the nation. Provident Housing, which is Puravankara’s premium affordable housing arm, is extremely happy to see this move in the right direction. Secondly, the benefits of rollover of capital gains from investment in one residential house to two residential houses will help home buyers dream of buying their second home. Lastly, the proposal to exempt tax levy on notional rent if a buyer has more than one-self occupied house acts as an added bonus to the home owners, increases liquidity and their spending power. From an industry perspective, there is some relief via the extension on levy of tax on notional rent for unsold inventories, from one year to two years. Government’s assurance that the GST Council is seeking recommendation from GoM’s on the GST applicable on purchase of homes is also heartening. This Interim Budget has put some extra cash in the citizen’s pocket which in turn increases their spending power and strengthens the economy, which is the best India Inc. can hope for. “The disposable income of EWS and LIG category borrower will increase with the exemption of tax on annual earnings upto Rs. 5 lakh and also increase in standard deduction by Rs. 10,000. The developers for new projects are also incentivise with the Income Tax exemption available till 2020 thereby keeping the prices in check. The housing demand will witness good uptick with measures like no income tax on notional rent on 2nd self occupied home and also capital gains benefit allowed on second houses in select cases. After many years we have seen a budget that is as welcome as this one is. The honourable finance minister has gone out of his to improve the lives of almost every Indian in some way or the other. The proposals on tax rates for middle class are likely to have a significant impact on the economy as many will have more money to spend, save and invest. The middle class can now dream of a holiday home without worrying about tax on notional rent. We are very happy to hear of the proposals to extend the time limit for completing affordable housing projects to earn a tax holiday under 80IBA. This will bring a much needed breather for some projects which have struggled to complete for various reasons. Over the past few years, policy changes like RERA and Benami Transaction Prohibition Act have helped bring a lot of transparency in the real estate sector. Further, we look forward to a favourable decision from the GST council on reducing the GST burden on homebuyers. We hope the group of ministers set up by the GST Council comes out with its decision soon and reduce the burden on homebuyers as soon as possible. The announcement that 1.53 crore houses have been made which is 5 times the earlier run rate is heart-warming and we congratulate the government on its achievement. We look forward to working with the government in the coming years to ensure that the Indian real estate sector can grow as fast as possible and become a showcase to the world. The budget has succeeded to address the needs of the common man by extending fiscal benefits for housing. As the demand for affordable housing is increasingly becoming one of the fastest growing campaigns in the country, this budget has proved to be a step in that direction. Further the announcement of tax reduction for the salaried class leading to more disposable income and also Capital Gains Tax Benefits to the middle class will give a boost to the real estate industry as it works towards achieving the vision of housing for all. This will also help the overall economic growth. The interim budget has focussed on the right areas to alleviate the stress on the housing sector and boost demand for housing units. 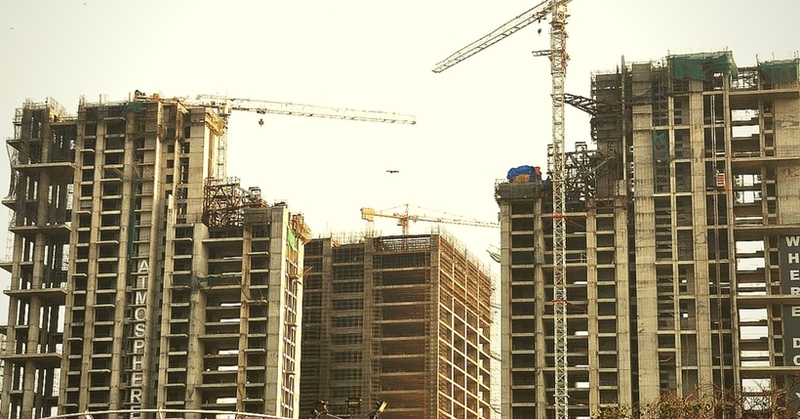 The series of sops for both buyers and developers should help perk up sentiment in the sector that has been going through a sluggish phase with inventory piling up across the country. The budget announcements that allow investment in two residential houses now from one earlier to offset capital gains and provides exemption from income tax on notional rent from second self-occupied house is bound to increase demand in housing sector. It is now expected that buyers with investible surplus will re-enter the market to purchase houses. Given that unsold inventory is a key concern for developers, the move to extend exemption period for levy of tax on notional rent from one year to two years is also a welcome move. Beyond the immediate relief measures, one of the 10 key dimensions for 2030 is roof on the head of every Indian. This shows that the housing, particularly affordable housing sector will continue to be a key focus area in the years to come. The Government’s endeavour to significantly reduce the tax burden on home buyers is highly commendable. Extending benefits, under Section 80-IBA of the Income Tax Act for one more year, is a welcome move to alleviate stress on the real estate sector and to make housing affordable. With a strong focus on building rural and social infrastructure, tripling the construction of rural roads will be instrumental in offering seamless connectivity thereby improving quality of life. In addition to this, setting up the 22nd AIIMS in Haryana reflects the Government’s intention to offer affordable healthcare to the masses. The Budget 2019 is a demonstration of the Government’s vision to set up the stage for decades of growth. It is completely in line with India’s aspiration to become a 5 trillion economy in the next five years. “The real estate sector had sets it sights on the budget to rejuvenate the consumer sentiment in the already ailing sector. We welcome Government’s recommendation to GST council for reduction in the existing rates on housing which will have a positive impact on the housing sales. Further, the tax relief to the middle class will augur well and further spur the demand for mid-segment housing segment that has shown early signs of revival.